Bag is constructed of durable ripstop nylon, with custom printed interior lining. 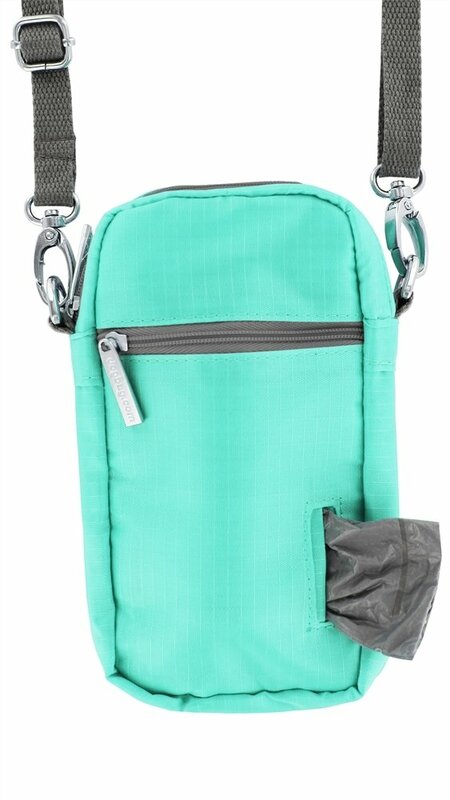 The coordinating adjustable cotton strap can be worn over the shoulder or around the waist. Fits an iPhone 6+ or similar size large smartphone, Two separate pockets to carry dogbags, phone, money, cards, keys and more.